Oh the places you will go! This inquisitive little girl came dressed for the part in her Dr. Seuss dress. The thunder clouds were rolling and the rain was threatening to down pour at any moment. We certainly didn't waste any time getting these photos done! Patience was a trooper and transitioned well as we speed along from one photo spot to the next. 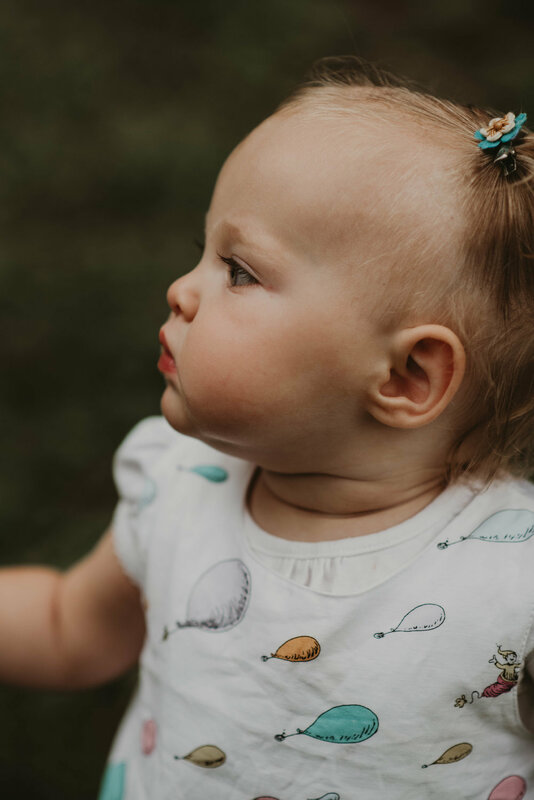 Her session included an outfit change, which due to the approaching storm, there was no time to go indoors, so it was expertly done by her mom in the great outdoors. Patience enjoyed the one-on-one time with her mommy and those big eyes and china doll mouth of hers made for adorable photos!